Get out your comfy sweaters and favorite jerseys, a chill is in the air and there’s tailgating to be done! As the leaves begin to fall and pumpkins are picked, millions of football fans prepare to rally behind their favorite teams. 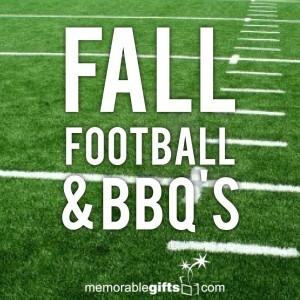 Help the football lover in your life kick off this fall season with personalized gifts that any fan would go crazy for. Our gifts are the perfect additions to any football fanatic’s ultimate collection. Whether they’re checking the score on their phone, grilling burgers for their buddies, or watching the action in their man cave, help your favorite fan show their support for one of America’s greatest sports! These gifts for him are sure to get anyone pumped up for this upcoming fall season! A real football fanatic shows support for his favorite team in nearly every way he can. 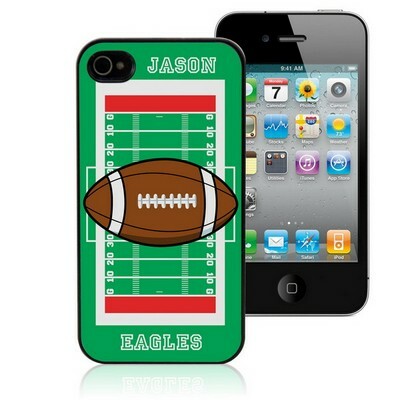 Whether he’s texting his friends with directions to the stadium, snapping pictures of the action, or checking scores, you can make sure the fan in your life represents his team with one of our personalized football iPhone cases. Personalize it with his name and favorite team to make sure his phone has a look that is one of a kind. Help your favorite fan create the ultimate football environment! 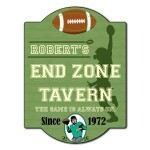 No matter where his favorite viewing spot is – be it the living room, basement, or a well designed man cave – our personalized sign complete with some Pure Artificial Grass will show anyone who enters the area that it’s a place for football! Many a football fan will attest – beer and football make a perfect match! 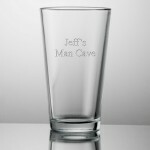 Help the fan in your life enjoy his favorite brew with our personalized beer glass. While in his man cave watching the game with friends, he can enjoy his favorite beverage in a glass that makes a statement! The big game, beer, and friends…what more could you need? Food, of course! Make sure your favorite football fan is equipped to master the grill on game day. 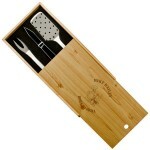 Our BBQ gift set will help make sure there’s food for hungry, fellow fans! It’s game day, cold beer is being poured and food is sizzling on the grill. Not only has the fan in your life invited his buddies over to watch the game, he’s cooking for them, too! 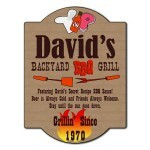 Make sure his friends know who the true grill master is with our Personalized Backyard Barbecue Grill Sign.